Who doesn't think that this cat lamp is sooo cute? This cat lamp is absolutely the best selection not only for all cat lovers but also for everyone! 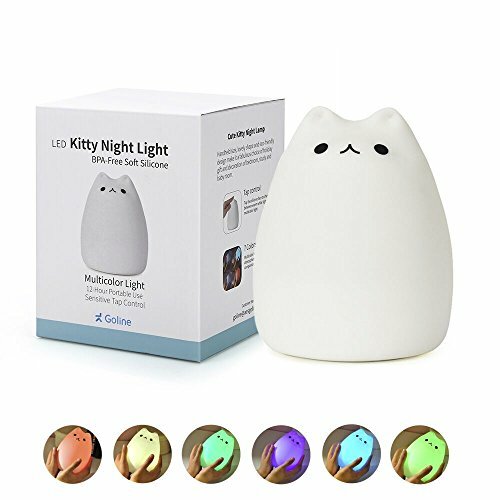 This adorable squishy silicone cat lamp contains 9 static color modes that ON and OFF and changes color by tapping the lamp with 4 stunning light effects, which you can use up to 15 hours straight without getting hot with a fast charging of 3 hours only. It is operated by a rechargeable battery via micro USB port. A red light will flash during charging and turn off when done. Power switch specification: Turn ON the master switch, warm light will appear, press it again light will be OFF. Patting the lamp to adjust LED Color: When the lamp is ON, warm color will appear; pat the lamp, then the light color will gradually change every 3 seconds; pat the lamp again, the color will stay on its current color. When charging, please off the power to protect battery life.